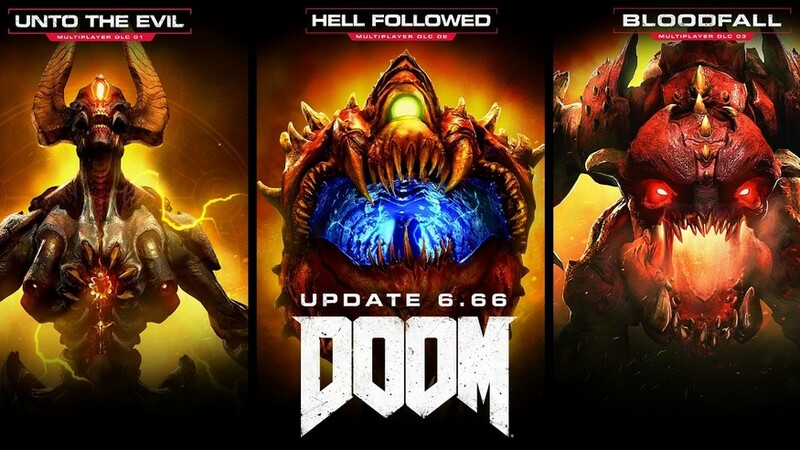 Bethesda’s wildly popular, frantic fast-paced, demon-killing FPS of 2016, DOOM, is heading back to Hell with tomorrow’s release of the aptly titled ‘Update 6.66’. Boasting a hellish amount of general improvements, game tweaks, SnapMap fixes, various multiplayer features, a Free Trial Weekend, and last but not least, slashing the games base price by over 50 percent! All existing players receive every Multiplayer DLC released. Free Trial Weekend starting 07/20/17 @ 12PM CT until 3PM CT 07/23/17. Resolved various bug-fixes and matchmaking problems with SnapMap mode. Fixed various issues with textures, respawning, player models and disconnects in Multiplayer. Massive price drop from $39.99 to $14.99 USD. There’s never been a better time to go to Hell. It’s been just over a year since we released DOOM and it’s thrilling to see not only many of our earliest players still enjoying the game, but also new Slayers joining the fight every day. Whether you’ve been playing for a year, a week or even if you still haven’t Glory Killed your first demon, we’ve got some exciting news for you. 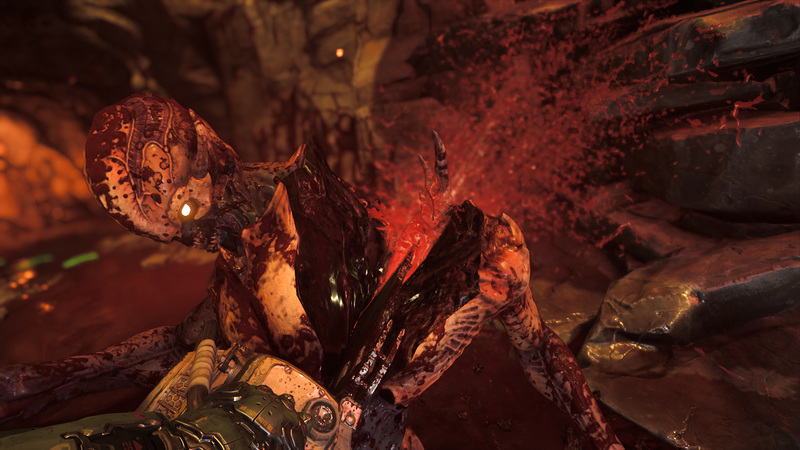 This week we’re rolling out the “ultimate” DOOM experience and offering it to new players at a hellishly low price. It all starts today with the release of Update 6.66. Like all of our updates, there are a ton of fixes and other improvements across multiplayer and SnapMap that we’ve outlined in our full update notes, but I want to highlight a few of the biggest changes for multiplayer. With this update, we’ve changed when and how players unlock additional guns, demons, equipment and all of the player and weapon customization options. Instead of relying on the current random unlock system, everything now unlocks through specific leveling requirements and/or in-game challenges. Now, if there’s a specific helmet you want, you can work toward unlocking it by focusing your play style on the related challenge. We’re confident new and veteran players alike will enjoy the control and predictability in this new multiplayer progression system. For our veteran players, we know you’ve been unlocking items through both the original random progression system and/or via DLC purchase. We want to ensure everyone has the opportunity to both retain previously unlocked items if they choose, but also unlock anything they don’t have through the new level- and challenge-based progression. To do this we will be resetting all veteran players to level 0. Don’t panic, though – that’s just your level. All veteran players will have the option to completely reset their unlock progression items and experience the new progression system fresh, OR retain all of their existing guns, equipment, demons and customization unlocks that they’ve acquired or purchased and then unlock the remaining items through the revised progression system. Regardless of whether you keep your gear or choose to re-earn it, we’re giving all veteran players a special badge recognizing their previous experience in the game. For those elite few who have achieved the max Slayer level, we’ve designated a special Slayer badge for you. On the gameplay front, we’ve replaced the Hack Module System with an all-new Runes System. 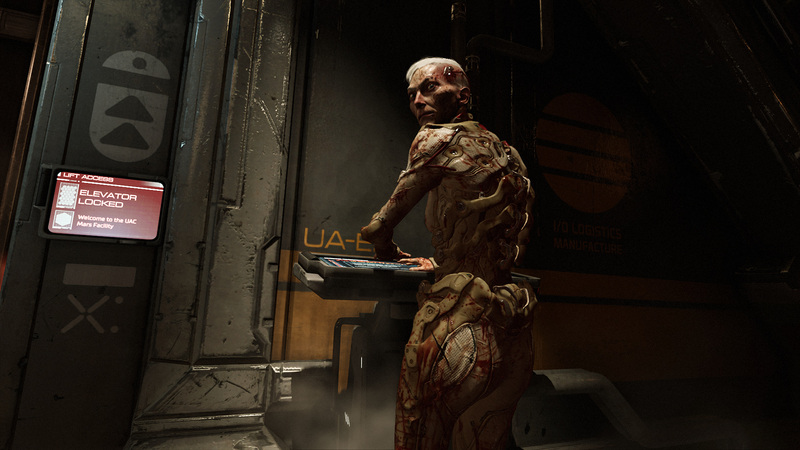 Much like the Runes system from the DOOM campaign, multiplayer Runes are now persistent player abilities earned and included in a player loadout. Unlike the previous Hack Modules, Runes do not need to be activated and do not expire. Runes are persistent capabilities (or perks) that become a consistent and predictable component of your loadout and play style. We’ve also overhauled most of the in-game HUD, including better callouts for challenges, awards and scoring. The kill card has been completely revised to provide players a more clear and accurate account of their demise, including not just who killed them but also the players, weapon types and damage that combined to kill them. 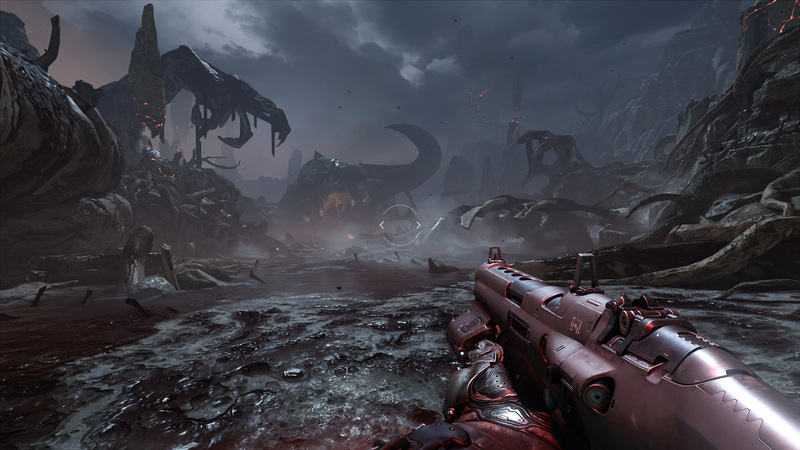 Players will also discover numerous improvements throughout the menus and user interface, including completely revised post-match summaries as well as updates that better illustrate player status in lobbies, highlight the new progression options and status, and better outline weapon, equipment and demon characteristics. 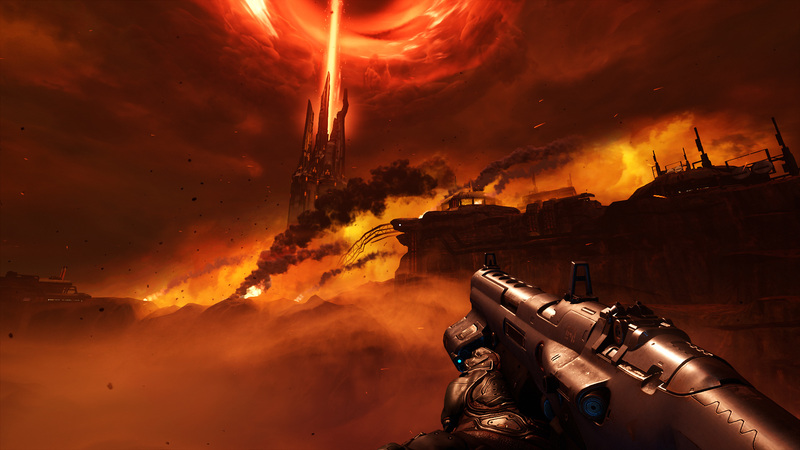 If you’re someone who just hasn’t tried DOOM yet, we’re giving you the ultimate opportunity to try out one of the most talked about games of 2016. Starting at 12:00 pm ET on Thursday, July 20, on Xbox One, 1pm ET on Thursday, July 20 on PC, and 12:00 pm ET on Thursday, July 27 on PlayStation 4, you can try DOOM for free. 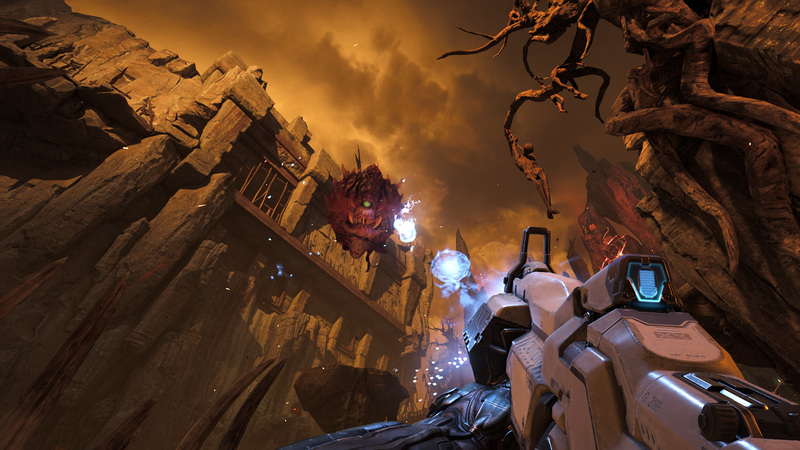 Blast hordes of demons in the first two levels of DOOM’s critically acclaimed campaign, then ratchet up the intensity by going for a high-score in Arcade Mode. Plus, you’ll also have unlimited access to DOOM’s multiplayer and SnapMap modes for the duration of the weekend. If you choose to purchase during the free weekend, all of your progress in campaign and multiplayer is saved and you’ll continue right from where you left off. 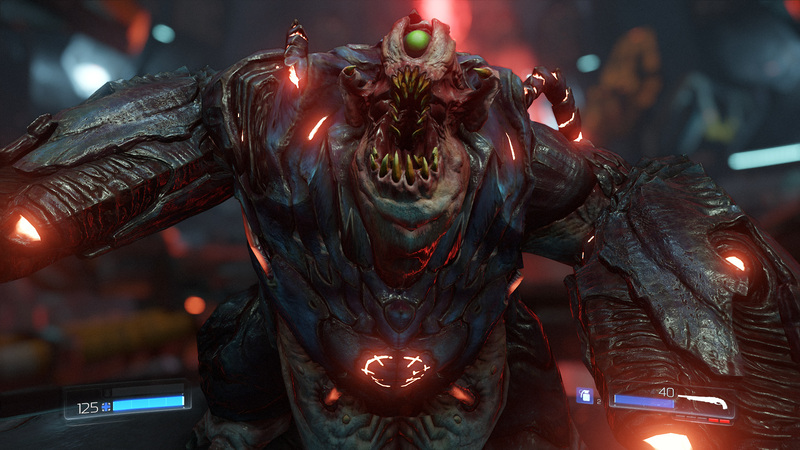 Lastly, we don’t want anything standing in your way of joining the millions of people that have experienced the rush and pure fun of DOOM, so not only are we giving you a chance to try it during a free weekend – if you like it, we’re offering it for $14.99 (US) / £11.99 (UK) / $17.99 (AUS) (digital purchase only). That’s the award-winning campaign, arcade mode, all of the DLC, countless hours of SnapMap and the right to say you are a badass, rip-and-tear DOOM Slayer – all for just $14.99 (US) / £11.99 (UK) / $17.99 (AUS). As always, thanks to everyone for your incredible support. We hope that whether you’re a long-time Slayer, trying the game during a free weekend, or you’re purchasing it for the first time, you find something you love in DOOM.